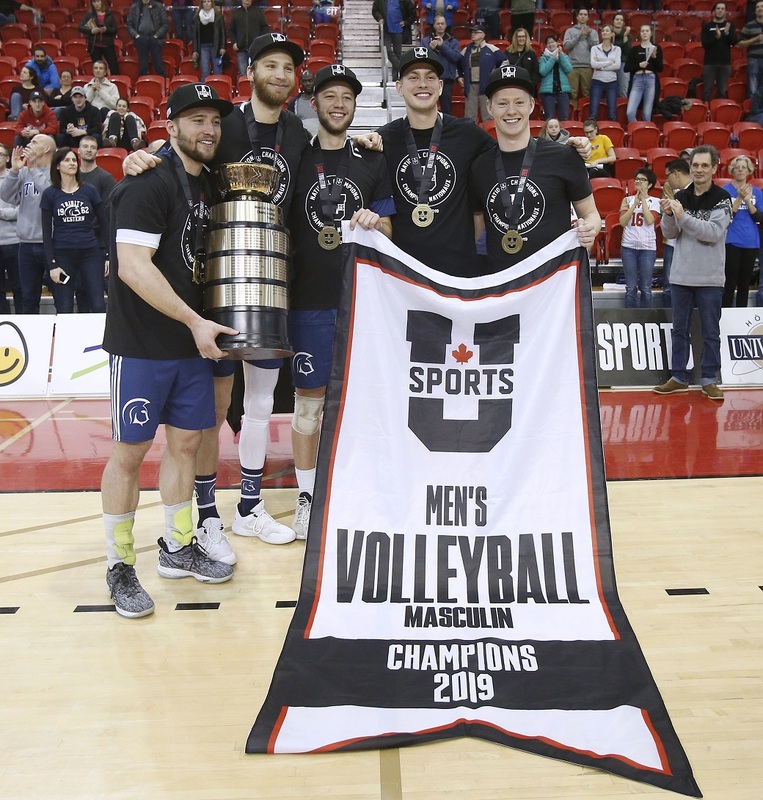 The Trinity Western Spartans earned their third national title in four years at the 2019 U SPORTS Men’s Volleyball Championship Presented by Hôtel Universel Québec, defeating the top-seeded Brandon Bobcats in three sets (25-23, 25-21, 25-19) on Sunday afternoon in Quebec City in front of 2,000 fans. 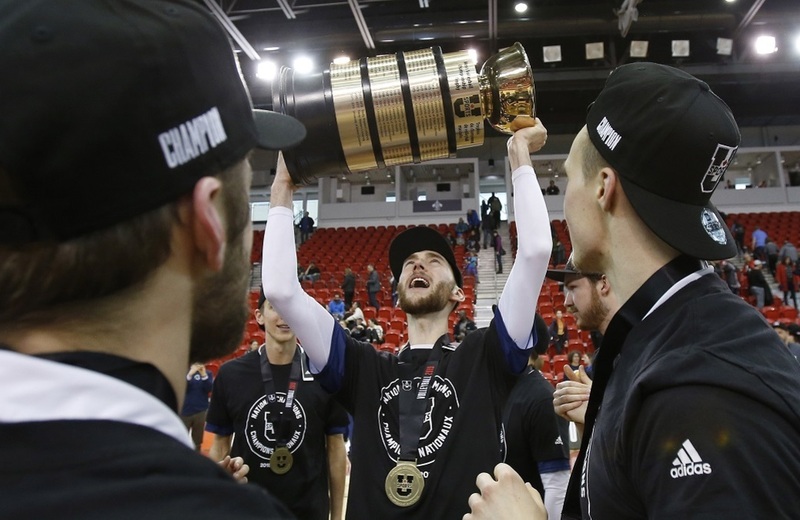 One of the most successful programs the nation has seen in years, Trinity Western captured its sixth Tantramar trophy since 2006. As for the Bobcats, their first national title will have to wait as they return home with silver, their best result since 2013. For a third time in as many games in this tournament, outside hitter Eric Loeppky was selected Player of the Game for Trinity Western with 11 kills and four aces bringing his total up to 12. 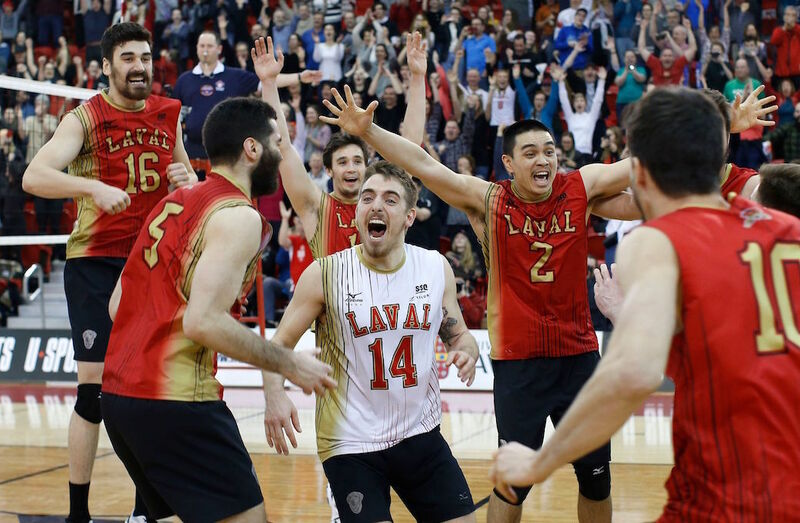 Seth Friesen had 10 kills out of his team’s 28, taking home Brandon’s Player of the Game honours for a second time in the championship.